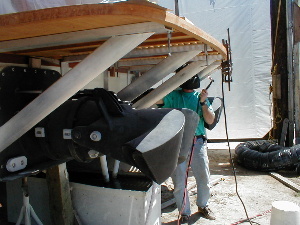 April 21, 2003 Out with the Carpenter bees, in with the May flies – it’s late April and the Cherokee site is high, dry, and busy. 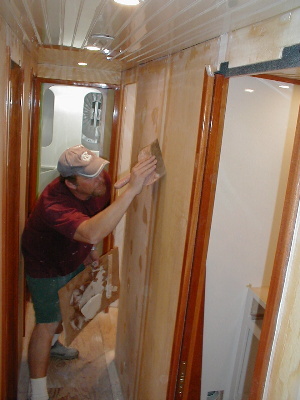 Norm and Jeanette have been fitting the sliding windows in the galley. 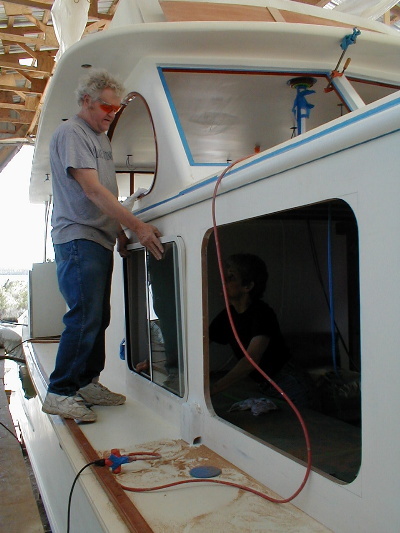 The quarter-inch tempered clear glass windows were built by Freeman Marine in Oregon. 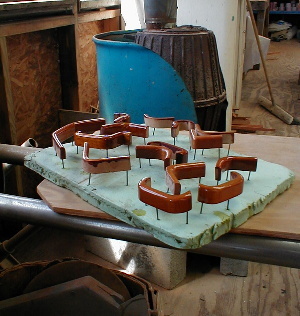 Chris Hunt has made many shapes of ceiling trim for showers and bathrooms. 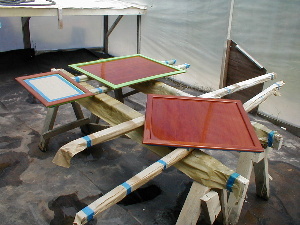 Bill Davis has been varnishing doors, and he and Kerry are polishing up the pieces. Kerry is shown above faring the hallway. 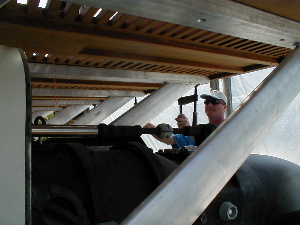 Below left, welder Tom G. is fitting the swim platform brackets. 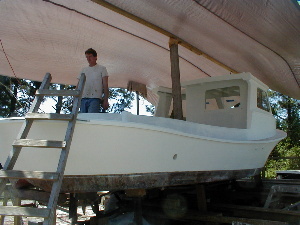 To the right is good old Leonard, at the stern again drilling bolt holes. The whole platform and supports will be removed and transported to the welders for edge-band reinforcement. 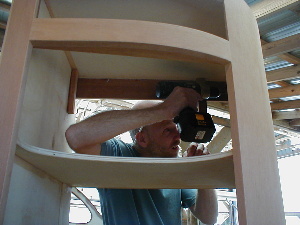 Tom Parker is building a cabinet for the galley. Will it hold spaghetti-o’s, pots and pans, or Tupperware? One can only guess! Chris Hunt has been placing ceiling trim in rooms that have their final coat of paint. 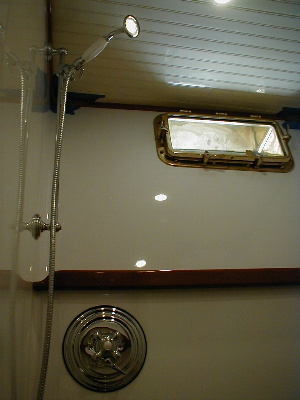 Below is some of his handywork in the aft guestroom shower.